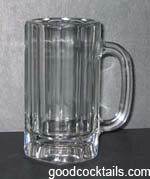 Pour beer into a salted beer mug half full of ice. Add fresh lime juice and hot sauce. Tapatío hot sauce works best.